The earliest dredges were spoon dredges – a leather or canvas bag tied around an iron loop attached to a pole (1). The spoon was dragged towards the bow by a winch (2) then lifted and the contents dumped into a sluice box (3). 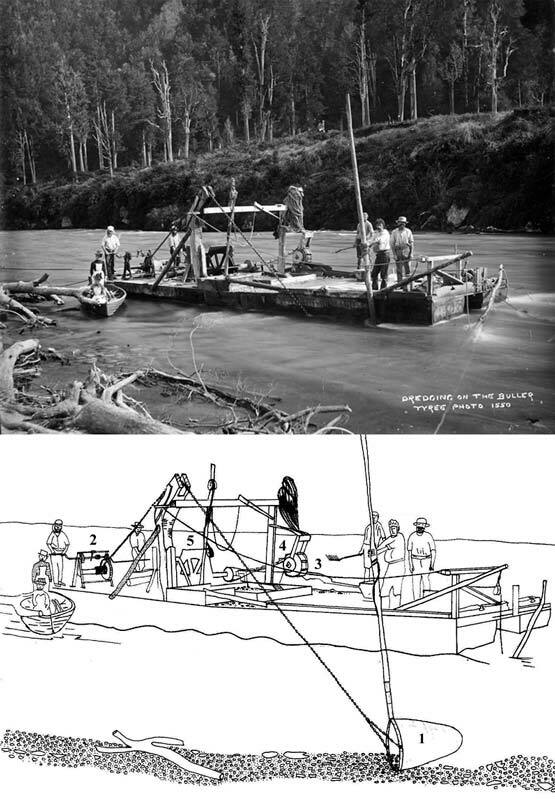 A pump (4) driven by a waterwheel (5) provided water for washing the gravel in the sluice box.